We talk a lot about the energy and cost savings and environmental benefits of LED lights (and will continue to do so), however something not often considered is the range of other business benefits that quality LED lighting can achieve. Several reports in the U.S. Library of Medicine National Institutes of Health reveal the positive effects of â€˜lightâ€™ and its influence on human vitality, energy, mood, alertness, psychomotor vigilance and work performance. Workers surveyed by the Kensington Technology Group listed eyestrain as a leading cause of physical stress in the workplace. According to a study sponsored by the American Society of Interior Designers, 68% of all office workers were concerned about lighting. Office workers consistently rated poor lighting as the first or second work environment concern. A study by Cornell University found 24% of office workers claimed poor lighting as a causal factor in loss of work due to eyestrain and discomfort. The study revealed a 2% loss of productivity per year for each individual surveyed, which equates to about one week of paid annual leave for each employee. The Cornell University study demonstrated that a 3% to 5% gain in worker productivity could be obtained with commercial LED lighting. We have a strong view that proper illumination is essential for comfort and productivity in office environments. Lighting in offices impacts upon quality of perception, mood and performance of employees. 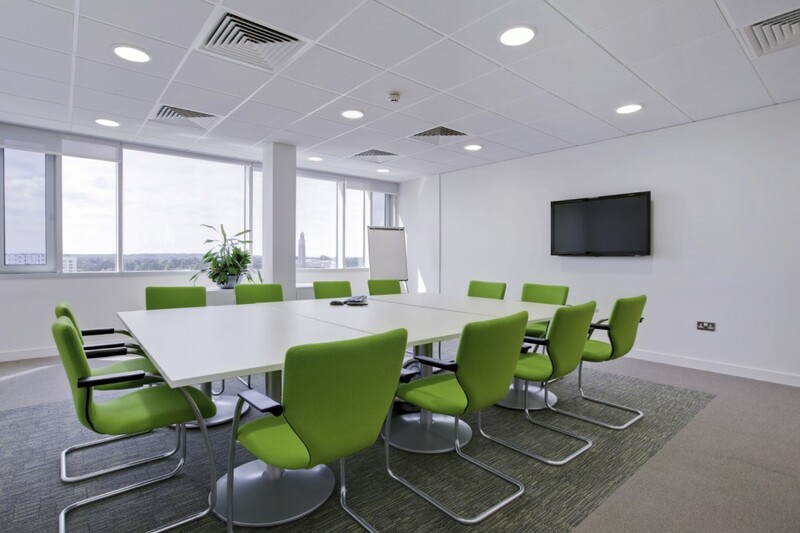 LED lighting can have this positive impact on employees – on their physical, physiological, and psychological health and well-being, enhancing their general performance and potentially reducing absenteeism. Conversely, dim or harsh lighting, often associated with traditional fluorescent and incandescent lights, can cause eye strain, as your eyes work harder to see, and associated ailments. Â Fluorescent and â€˜bulbâ€™-shaped incandescent lamps emit light in all directions, with the result that much of the light they produce is lost within the fixture or escapes in a direction not useful for the intended application. One of the defining benefits of LEDs is that they emit light in a specific direction, which reduces the need for reflectors and diffusers that can lower efficiency. LEDs do not flicker and are free from toxic substances and UV emissions. While natural light through windows provides the optimal lighting outcome, LEDs are the next best alternative and beautifully complement natural lighting, particularly when combined with modern control systems, which include wireless control (see our blog post on Zigbee control systems). MatrixLED offers a large range of office LED lighting solutions, including Zigbee wireless controlled systems. Â Please visit our website to learn more about LED lights and contact us for a free consultation.